Season is here! Get Ready for it & Get After it! RSVP HERE!!! Our friends at Arc’teryx Soho are inviting the neighborhood to their store to check out the new gear with a lil’ Wax & Wine. The Paragon Sports tune crew will be on hand to tune of your equipment and get you ready for the season on snow. Bring your skis, your snowboard and your appetite for hype because we’ll be bringing the energy… and a season’s worth of stoke! Come by and hang with the OvR crew. We’ll be on hand spreading the good word on everything we’re up to this season, offering discounts for upcoming trips and more. A Few Lucky Guests on each Arc’teryx Trip will Enter to Win a FREE TRIP to Whistler or Snowbird!!! 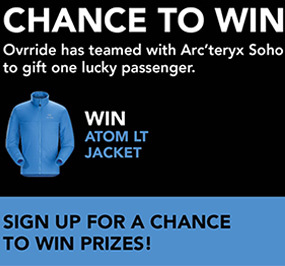 One Lucky Guest on each trip will win this dope jacket from Arc’teryx! Everyone wins by joining in the good times!!! 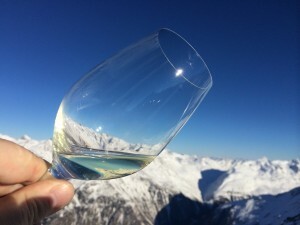 More dates for Arc’teryx Trips and events coming soon! Stay informed and drop by Arc’teryx Soho whenever you can to keep in the loop on all their doing on the mountain, in the city and abroad! This entry was posted in Events, Featured, Gear, News, NYC, OvR Shout Outs, OvRcrew, Trips. Bookmark the permalink.